The graphics for this blog were developed from a survey by Machine Design and an article written by Steven J. Mraz, October 16, 2012. There are several subjects I generally stay away from due to their very nature but since this is an extremely important election year I thought I would venture into the realm of the forbidden. I think most people, including politicians, are fascinating although I definitely feel politics for the sake of getting one’s way is remarkably detrimental to “good works”. Quite frankly, I would not give you a bucket of warm spit for what I seen in Washington D.C. Total lack of cooperation between the parties. Virtually no resourcefulness in trying to find viable solutions to our most troubling problems, and we have many. Seeming unwillingness to “cross the isle” and negotiate with people of differing view-points. I agree with the majority of engineers in that the next President will not matter that much relative to solutions forthcoming. I would do cartwheels if they would choose one problem; i.e. economy, jobs, schools, health care, immigration, crime, etc. and fix it. Just one solved problem would restore my diminished faith in their ability to contribute in a worthwhile manner. With that being said, let’s see what our peers indicate as their views on politics in this political year. 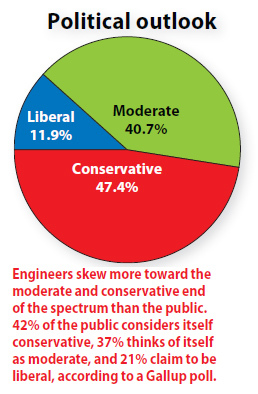 Engineers tend to view themselves as much less liberal and slightly more conservative than the general public, according to a recent survey of over 1,200 readers of MACHINE DESIGN and Electronic Design magazines. 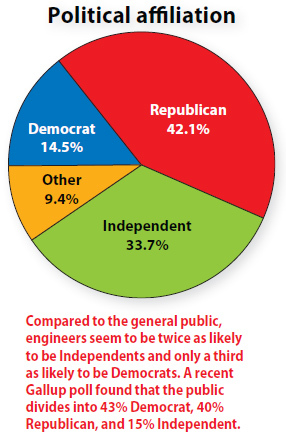 The same survey also found that engineers are more likely to be Republican (42.1%) or Independent (33.7%) voters, as opposed to Democrats (14.5%). 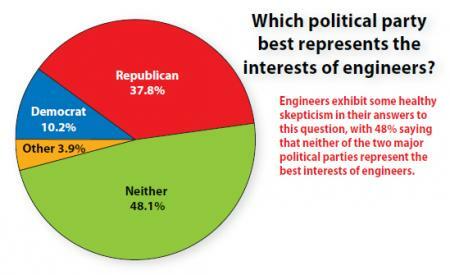 And although over a third of the engineers think Republicans represent the best interests of the engineering community better than Democrats, a majority of engineers (48.1%) believe neither party is really on the side of engineers. 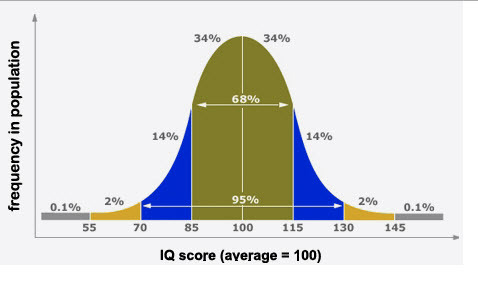 The graphic above will illustrate the percentages of beliefs held by the respondents. I personally am an independent. I have voted Republican, Democrat and Independent at times during my adult life-time. I vote for the person and not the party. Seems the proper thing to do and signifies my belief that there is nothing inherently wrong with being in either classification relative to the beliefs of the person running. I definitely am conservative when it comes to all things financial. The pie-chart above and the one below indicate that I am not alone with that viewpoint. 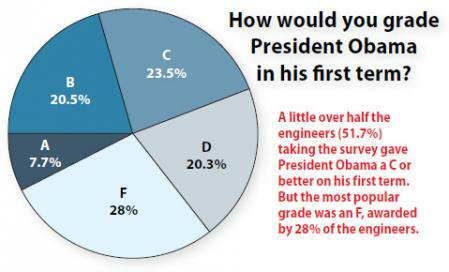 In looking at the performance of President Obama, we see the following. I find it very hard to disagree with this one. He has been tremendously lack-luster relative to the promises made in 2008, prior to election. I might mention one thing—one object cannot occupy two places at the same time. In other words, you can’t be in the Oval Office and on the golf course at the same time. You can’t sit with Letterman, Steward, and the ladies on the View and pretend you are doing your job. (Just a thought.) 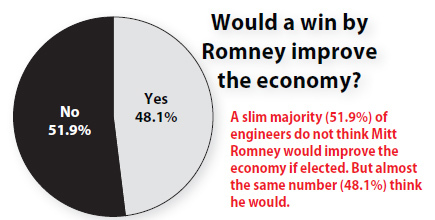 OK, with that being said, how do we think Romney would do? Not too optimistic are we? I would offer a thought that things will not change with either being our next president. Sill have the same old Congress. 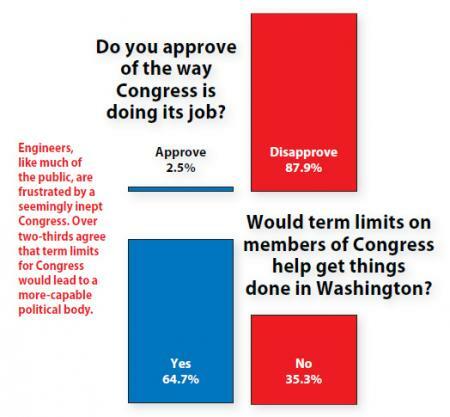 A whopping 87.9% of the engineers polled have a negative view-point of Congress. And why not? They are on vacation until November 13th. With a 16 trillion dollar deficit, these birds are on vacation—seeing to their reelection. I will say one thing—they certainly have a great deal in common with Alfred E. Newman—“what, me worry”? You will notice my blogs, just about always, deal with education and technology. I am very comfortable with these subjects and certainly enjoy writing about R&D and technological developments affecting our daily lives. I actually know a little about these having been there, done that, got the “T” shirt. I stay away from “hot button” topics such as abortion, contraception, gay marriage, etc. because I feel these subject are extremely personal and, quite frankly, why would you want my opinion? Politically, I’m a registered Independent. I vote for the person and not the party. Definitely conservative when it comes to all matters financial. I do not have a “base”. My hero, Sir Winston said: “If you aren’t a liberal by the time you’re 20 you don’t have a heart. If you aren’t a conservative by the time you’re 40, you don’t have a head”. (His words not mine.) There is a great deal of truth to that statement. I’m going to “break ranks” right now and voice an opinion relative to a statement made the other day by President Obama. Again, his words—not mine. Ladies and gentlemen the private sector is NOT fine, not fine at all. I do consulting work for a company that has two manufacturing locations in the same southern city and travel between them two or three times per day; checking on robotic processes for a critical assembly. I have been amazed over the last three months to see men and women canvassing the roadways for discarded cans, setting up “flea market” locations in their yards and just walking the streets going door to door seeking one day odd jobs. Two days ago I was headed to “plant two” and noticed my gas tank was nearing empty. I stopped for fuel and while filling up, a gentleman came up to the island and started looking through the trash cans. Now this guy did not look to be homeless. He was dressed in a fairly nice fashion; was wearing a knit pullover Polo shirt; had on a pair of kaki pants AND shoes. I ask him if he was OK. “Just looking for scrap metal I can sell to get a little money. I was laid off several months ago. My wife and I are scratching to keep things together.” I offered to give him five dollars but, much to my surprise, he said no—not after handouts. I have a buddy who has been out of work for eight months and is now selling his household belongings on eBay. He holds a BS in accounting from a four year university. Fifty-eight years old and been around the block more than once—definitely not a rookie. Make no mistake, in this economy; you’re behind the “8-ball” if you are over fifty and looking for a job. I have another friend who is a machinist by trade. A remarkably talented individual, forty-eight years old with twenty-nine years of experience. He has been out of work for eleven months. The company he worded for relocated to Mexico. OK, one more example and I’m done. Another friend of mine owns a metal fabricating operation in Chattanooga. They specialize in fabricating stainless steel piping and stainless steel assemblies for power utilities and the pulp and paper industries. Two years ago, he employed fifty-seven people and worked two shifts. Today, he has a crew of twelve people and desperately tries to give them five days per week. I don’t want to be mean about this, but I feel what President Obama really meant was, he is just fine, Congress is just fine, the lobbyist are just fine, the Wall Street types are just fine, investment bankers are just fine, but the private sector—I don’t think so!